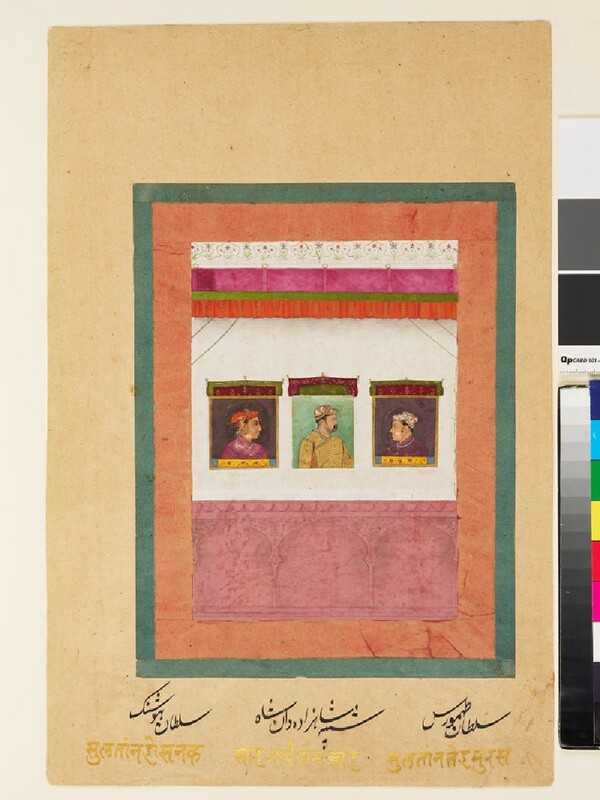 In this composite album page, earlier portraits of Daniyal and his sons Hushang and Tahmuras are mounted as a trio, as if at adjacent jharoka windows in a palace. Daniyal, third son of Akbar, served his father in the Deccan where he died of drink in 1604. His sons were later put to death by Shah Jahan in 1628.